Stephen Beal is a painter and the current president of California College of the Arts. His paintings are all-over patterns, resembling textiles or enlarged reproductions of printing technologies. 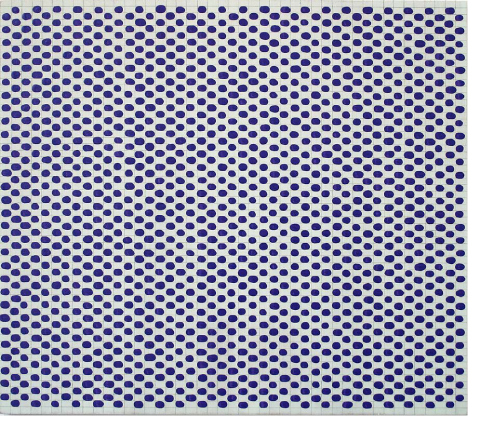 In this sense, they seem to offer a bridge between Roy Lichtenstein’s hand-painted Ben-Day dots and modernist paintings’ dissolution of the distinction between figure and ground. However, Beal’s handling of paint gives his works a much more painterly quality than the crisp op and pop art his work initially resembles.